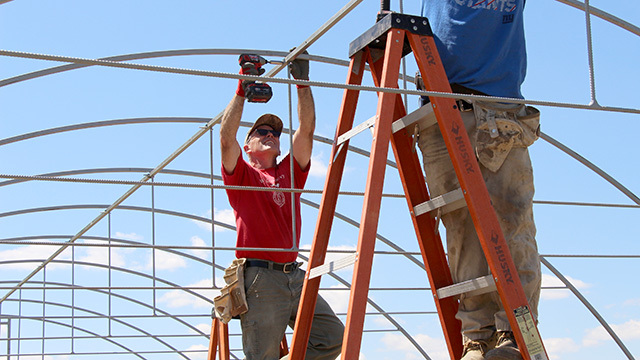 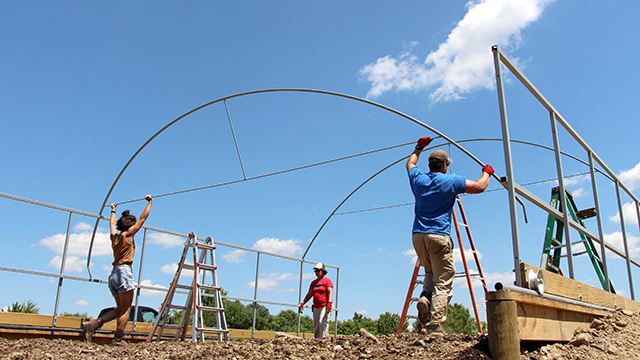 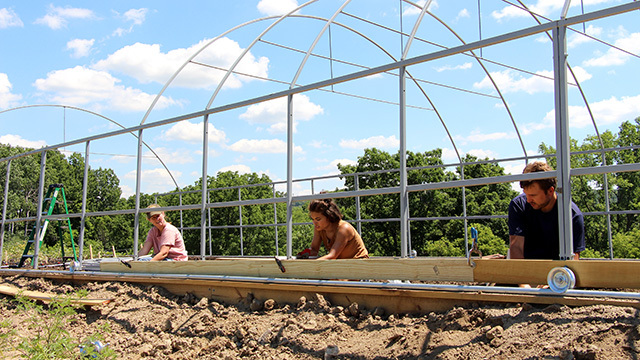 A production-scale high tunnel is rising at Dilmun Hill Student Farm, adjacent to the Cornell University campus. 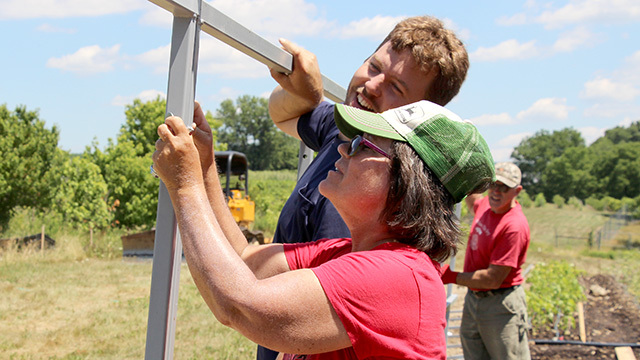 Once complete, it will not only extend the growing season for the farm, but also serve as an educational resource for the many classes that visit the farm. 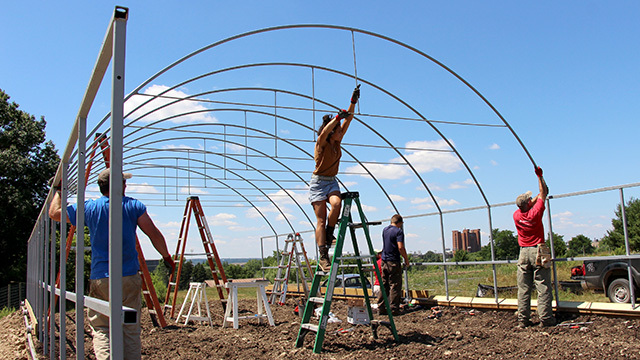 A high tunnel production workshop series is being planned in partnership with Cornell Cooperative Extension that will draw on the knowledge and experience of faculty, graduate students, and undergraduates across many different departments.